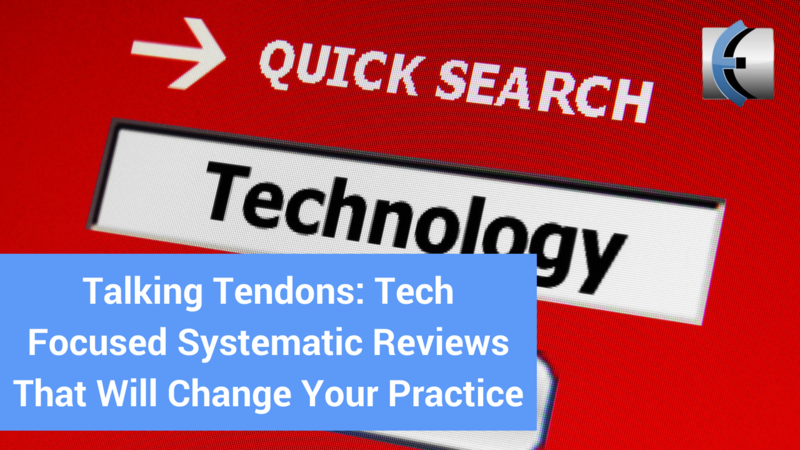 I'm inspired by "the patient will see you now" by Dr Eric Topol which I recently read so this weeks podcast covers 2 technology focused systematic reviews. The first is on the efficacy of exergames for treating musculoskeletal pain, and the second is on basically the use of accelerometers and other wearable sensors to monitor rehab exercises. An exciting area that is set to grow hugely and will be part of all of our practices soon.